Beat your hidden hiring biases. Evidence is mounting that having a more diverse workforce delivers serious benefits. Achieving diversity – and realizing its advantages – means reaching the widest possible range of candidates. It also means assessing them for their ability to do the job they’re applying for. But many barriers still stand in the way. 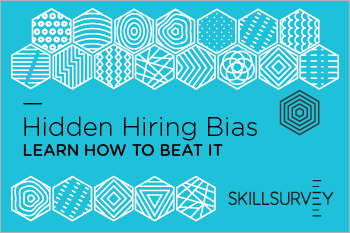 Download Beat Your Hidden Hiring Biases: Start Building a Better, More Diverse Workforce with Data-Driven Hiring to overcome the hidden barriers that may be standing in your way of reaching the best possible candidate pool.